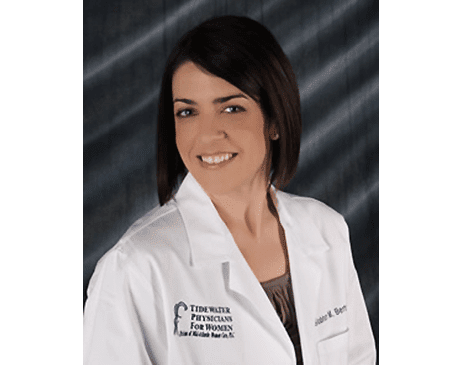 Siobhan M. Bertolino, MD, with Tidewater Physicians for Women in Virginia Beach and Norfolk, Virginia, began her career at the College of William and Mary, then she earned her medical degree from Eastern Virginia Medical School. She completed her residency at the University of South Florida. During her residency training, she received an award of excellence for her skills in laparoscopic procedures. Dr. Bertolino is a Fellow of the American College of Obstetrics and Gynecology. She also serves as a member of the clinical faculty at Eastern Virginia Medical School. Dr. Bertolino’s patients at Tidewater Physicians for Women benefit from her expertise in laparoscopic surgery. They also rely on her compassionate care for all of their reproductive health needs including routine preventive care, comprehensive gynecological and obstetrical care, and support for challenges during the transition into adulthood and on through menopause. In her free time, Dr. Bertolino enjoys traveling, snowboarding, and spending time with her family, especially at the beach. "Love Dr.B and her nurses and cannot say enough good things about the quality of care I have received at this practice. I brag about them and their expertise any chance." "As a cancer patient, I have MANY doctors. Dr. Bertolino is the one I trust most. She really cares about her patients on an individual basis and goes the extra mile." "Dr Siobhan Bertolino is the most caring and amazing ob ever. She really cares for her patients and bends over backwards to make sure they are cared for."